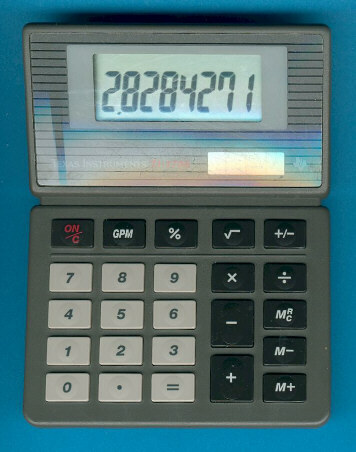 This stylish small desktop calculator fits somewhere between the TI-1795A and the TI-1775. Main difference is the [GPM] key. It is the successor of the valuable TI-1798 introduced already in 1986. In Europe the TI-1798 was sold with an internal battery as TI-510.